Need a bail bond fast? Get an appraisal from Sharp Appraisals. Need a bail bond in a hurry? Let Sharp Appraisals help. If you're looking for a bail bond, Sharp Appraisals knows that you might be feeling stressed. We're dedicated to alleviating your stress by providing you with fast, accurate bail bond appraisal services. We've answered a few questions about bail bond appraisals below. If the information you're looking for isn't below, contact us and we'll do our best to answer it in a timely manner. What are appraisals for bail bonds for? Bail bonds can be used to temporarily discharge people from police custody, and they can be "bought" with cash or other assets — like a house. First, the home's value must be established so the court can be sure that it will cover the bond cost. A professional appraiser can perform a bail bond appraisal to estimate the value of your property so that it can be used for bail bond. This is known as a property bond. When is a bail bond appraisal required? A bail bond appraisal must be performed if you want to put your home up for collateral. This is a good option if a loved one is jailed and you are unable to put down cash or other assets as collateral to release them from custody. What happens in a bail bond appraisal? Bail bond appraisals, like other appraisal types, consist of a home inspection, followed by a report written by the appraiser explaining various elements that play into determining the value of your property. Every appraiser at Sharp Appraisals is licensed and regulated by the Appraisal Foundation, local to the Orange County area, ethical, experienced, and dedicated to using the latest technology — so when you order an appraisal from us, you can trust that it's not only quick, but also standardized and very accurate. You're crunched for time, and when it comes to getting your loved one out of custody fast, we're here to assist. When you request a bail bond appraisal with Sharp Appraisals, we want you to rest assured that your order is our highest priority. Contact us now, and we'll work with you to expedite the order. But you don't just require an appraisal fast — you need an accurate appraisal, too. Since you can only use your property as a bond if it offsets the cost of the bail bond (normally, your property needs to be worth at least 50% to 100% more than the cost of the bond), your appraisal needs to be accurate. So while we promise an expedited appraisal, we won't cut corners that result in an inaccurate estimate of your property. I'm a bailsman looking for a bail bond appraiser. Tell me about your company. 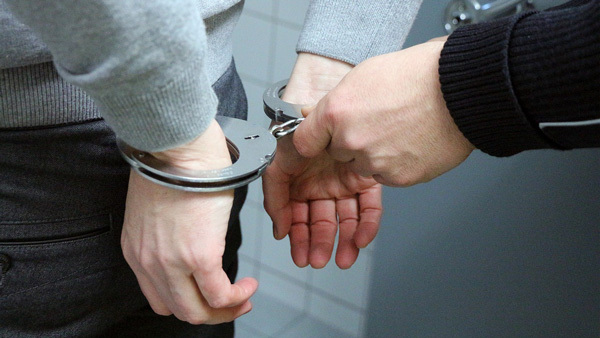 If you're a bondsman looking for an appraiser to perform bail bond appraisals, we have the credentials and the knowledge to provide your customers with quick, hassle-free appraisals. We have extensive experience in bail bond appraisals, and we would be happy to help. Reach out to us for more information on our experience and credentials.